We’re excited to announce the launch of our latest addition to the Earth Cycle range of composts – Mushroom Compost! A popular growing medium amongst gardeners, our new Mushroom Compost is a by-product of mushroom farming, and a slow-release nourishing fertiliser which provides high levels of phosphate, potassium, calcium, and magnesium, great for growing vegetables; particularly brassicas due to its slightly alkaline properties. Mushroom compost is best used for non-acidic plants but is very useful for most vegetables which like a richer soil. 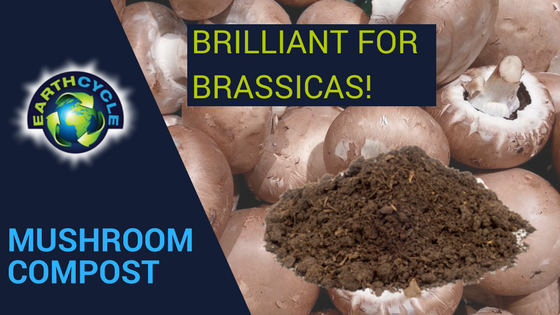 Our Mushroom Compost is available to order in 1000L bulk bags, delivered directly to your home or allotment. To order online, click here or call us on 01243 781730.